What started as a personal project by Olivier Gamiette to reimagine how watches could look like is now a collection of some really stunning examples of watch designs. Gamiette is a professional automotive designer. I still can't wrap my mind around the idea that he can be so good at watch design too. In order to make the designs convincing, Gamiette actually took apart watches to study them. It's said in the book that the designs are functional so technically speaking they can actually work. 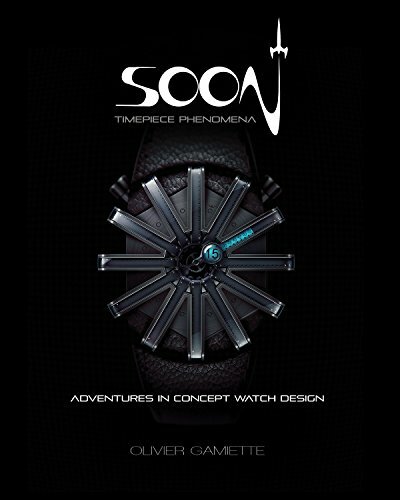 The watches in this book are unlike any watches I've ever seen either in real life or even as concepts. There's almost a sci-fi look to some while others have the ornamental modern classy polished look. At one glance, you might not even be able to tell that it's a watch because some of the time telling mechanisms are not so obvious. Ultimately, the designs look amazing. They are unique and easily stand out when compared to other watches in the market. Right at the back of the book are few pages of tutorial that talks about certain techniques, like how you create metallic textures, gears, bracelet and other elements of the watch. It's a pretty cool book. Next up, perhaps a book on clock designs?